New Harold Davis Workshops, Events, and Webinars Too! I’m pleased to announce two new June sessions of our Full Moon Workshop: Photograph the Golden Gate Bridge Like You Never Have Before. Two new Harold Davis webinars of interest specifically to night photographers, sponsored by Star Circle Academy, are now open for registration. We are sponsoring a free photo shoot in honor of the memory of Jack Tasoff, a member of the Photography with Harold Davis Meetup group, on Sunday June 2, 2013. If you knew Jack, or just want to honor his memory doing something he loved (photographing animals) please consider joining us. Details: http://www.meetup.com/Harold-Davis/events/110726082/. Read more about Jack Tasoff on my blog. 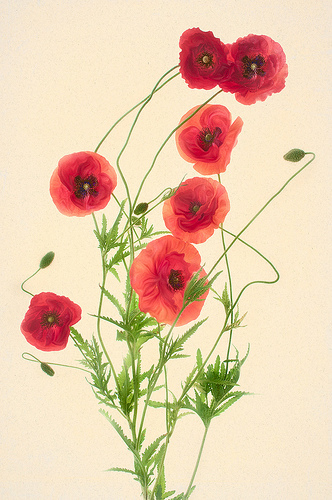 Master photographer Harold Davis is well-known for his often imitated—but seldom equaled—digital images of luscious transparent and translucent flowers. In this unique workshop offering master photographer Harold Davis shows the techniques he uses to create his floral masterpieces. Arrangement, composition, photography, post-production will all be covered, as will Harold’s special techniques for shooting on a light box. In response to many requests, this workshop has been expanded to two days to allow participants to fully shoot and post-process their own images under Harold’s guidance. Limited to sixteen participants. “Very creative and a marvelous instructor.”—Kay S.
There’s one somewhat discordant element in this tableau of a metallurgic assayer’s desk, shot at Laws Railroad Museum near Bishop, California. What is the gun doing in the image? According to the docent I spoke with, most assayers tended to deal in gold and other precious metals as well as to assay it. The natural tendency for miners hitting what passed for civilization out of their stakes in Death Valley or the Panamint Range was to want to get some ready money quickly—no doubt for some to spend on booze and women in wild boom towns like Bodie. These miners would often come to feel that they had been low-balled by assayers who had taken advantage of them; hence, a revolver to defend against disgruntled small mining stake-holders was standard equipment for most metallurgists. Exposure data: 52mm, ten exposures at shutter speeds between 1/80 of a second and five seconds, each exposure at f/13 and ISO 200, tripod mounted; exposures combined using Nik HDR Efex Pro and Photoshop, and converted to monochromatic using Photoshop, Nik Silver Efex and Topaz Adjust. This is a photo of a very small shell sometimes called a “Sundial” (of the architectonica genus). It is less than an inch across, and shown elsewhere on my blog in color. My idea in making this photo was to create a monochromatic image that emphasize the contrast in the shell’s spiral between the white lines and the darker portions of the spiral, and implying the color gradations in the shell’s spiral, and the patterned nature of the shell as a whole. Exposure data: 85mm macro lens, six exposures with shutter speeds ranging from 1/8 of a second to 4 seconds, each exposure at f/22 and ISO 100, tripod mounted; images combined in Photoshop, and converted to monochromatic using LAB inversions in Photoshop and Nik Silver Efex. Recently, my friend and photography student Jack Tasoff died in a four-wheel-drive accident in a remote area of the Anza-Borrego desert. I first met Jack a number of years ago. I was scouting a location for a photography workshop in the Patriarch Grove of ancient Bristlecone Pines in the White Mountains of eastern California. My camera was on a tripod, and I was shooting the textures and folds of the bark of one of these 4,000 year-old trees. Those who knew and loved Jack probably realize that tact wasn’t his strong point. But as time went by, and Jack and I continued to correspond every week, I truly began to appreciate the breadth of his knowledge and insights, and how much he savored life. We discussed everything, from Ming vases and Titian paintings to botany, biology, and individual motivations. Every interaction with Jack was entertaining, and every discussion gave me unusual insights. Jack saw the world in his own way. He was a true original, and in my book no greater compliment can be made. Jack had a gentle side. He could be loud, and carried a big lens, but he cared deeply about little creatures. He enjoyed most of all seeking out and photographing small, endangered animals. I miss Jack already, and know that this sense of loss will only grow as time goes by. One consolation is that he was out doing two things he loved—photographing wild animals, and travelling in the desert. May his wonderful spirit find beauty and joy. You can find some of Jack’s photography on his website wee tim’rous beasties. Read the full story on the Moab Paper blog; find out more about the Botanique limited edition artists book. There’s an almost infinite appeal to me in photographing railroad tracks—appropriately, because the visual metaphor of the railroad track is to show rails that are parallel and never touch. They go on forever, or seem to. So railroad tracks are, in other words, a representation of the infinite. The crucial point in railroad track compositions is the vanishing point. The viewer’s eye will proceed along the tracks to the point at which the tracks seem to come together and vanish. Of course, the tracks never really come together, and a vanishing point is a trick of perspective rendition. But to do an effective job of making a railroad track image one needs to accomplish something interesting at the supposed vanishing point. In my image of Railroad Tracks near Gaviota, California this interest is generated by the stormy sky, and by the bend to the right in the tracks towards the distant hills and beach. In the Anza Borrego desert the hard-scrabble town of Borrego Springs, California loses most of its population in the summer, when temperatures soar and stay above 110 degrees Fahrenheit. One part of the indigenous population stays put—the creatures created by metal sculptor Ricardo Breceda. My favorite is the huge dragon,or serpent, shown here photographed at sunrise using my fisheye lens. The serpent in the Anza-Borrego reminds me somewhat of the Serpent Mother (a creation of the Flaming Lotus Girls). In the desert life is harsh, and the intensity of light reflects the harshness of conditions. Photography is best at the fringes of the day—the “golden hour” leading up to sunset, the half hour just after sunset, and the half hour of comparatively serene light one finds at dawn. I created this monochromatic HDR image shortly after sunrise in Glorieta Canyon, part of the Anza-Borrego Desert in southeastern California. To make the image I used my 200mm macro lens, and mounted my camera on a tripod. There were five exposures, shot at ISO 100 and f/16. Shutter speeds varied between 1/13 of a second (darkest) and 1.3 seconds (brightest). The images were processed from the RAW using Adobe Camera RAW (ACR) and Nik HDR Efex Pro, then combined in Photoshop using layering. I used Photoshop, Nik Color Efex, Topaz Adjust, Topaz Simply, and PixelBender to enhance the image. Finally, I converted the image to monochromatic using Photoshop, Nik Silver Efex, and a “reserved” layer from the original HDR Efex monochromatic HDR processing. On a wet, sloppy evening with the tide coming in it was fun to photograph the old wooden pier in Cayucos, California. The sky darkened and the storm moved landward—it was a proverbial photofinish between how long the light would hold out and how long my exposures had to be. The one shown below was in fact exposed for 3 minutes. Shortly after it completed the rain began in earnest. Acclaimed as “origami in a box” and said to be “destined for major museums,” Botanique is an innovative artist project that astutely blends old craft and cutting edge new technologies to create an exquisite limited edition art book and art object that is completely unique. Working together in their studio, legendary photographer and digital artist Harold Davis his wife, graphic designer Phyllis Davis, have combined advanced digital pigment printing with the luscious botanical art of Harold Davis. Every aspect of the project has been carefully designed and hand-crafted. According to Popular Photography Magazine, the floral prints of Harold Davis “border on the spiritual.” Botanique contains twenty-one luscious floral prints that emerge delicately and seductively from the hand-assembled presentation box. The clam shell box measures approximately 9.25″ X 12.5″ X 1″ deep. The Botanique project was originally successfully funded and crowd-sourced via a Kickstarter project. Uniquely conceived and handcrafted using a blend of new and old techniques, Botanique is expected to be the first of a number of limited edition artist projects from the creative Davis photography and design studio. “I didn’t open it until last night because I was really busy and wanted to take time to savor every page. It’s BEAUTIFUL! Thank you very much.”—S.M. “I had time today to sit down and slowly admire each and every page of your amazing book. It is absolutely gorgeous…a true collector’s item…and is a reflection of the beauty and light within you both. I’m honored to be one of the people who has the privilege to own this book and will treasure it always.”—B.A. ”Arrived home from France this evening to find my copy of Botanique waiting for me . . . the book and accompanying prints are indescribably beautiful.”—B.G. Click here for more information about Botanique, a limited edition artists book by Harold Davis. When giving a workshop, when asked whether an image has been “Photoshopped,” I reply, “Yes. Whichever image of mine you pick, the answer will always be, ‘Yes’!”. So there is something that some people will find a bit unusual for me when I show a special-effect image that was created in the camera such as the Dance of the Tulips. Of course, good (and creative) camera technique is always important—whether Photoshop is involved or not! Here’s how I made this image: First, I started with some beautiful Tulips from Thomas Farms, bought at the North Berkeley Farmer’s Market. I placed the tulips on a black background. I’ve written previously about using my 18-200mm zoom lens with a 36mm extension tube to create a kind of poor person’s macro lens. This kind of setup can get you very close, and it has a neat soft focus feeling and cool bokeh. Of course, I wouldn’t use it if I wanted end-to-end precision macro sharpness. The odd thing is that optically what works best is to set the lens manually on infinity, find your distance, and then “focus” using the zoom ring. My next step was to add approximately 8 f-stops of neutral density to the front of the lens so I could make quite long exposures, in the 5 seconds to 30 seconds range with the lens stopped down. Finally, I timed each exposure so that the lens was fixed and “in focus” for about half the exposure, and then a carefully and smoothly rotated the zoom dial to get an out-of-focus effect for the remainder of the exposure. In other words, the effect combines the hardness and definition of a fully stopped-down in-focus lens with the soft focus of a motion blur and an image thrown intentionally out-of-focus. Exposure data: 18-200mm zoom lens, starting at about 135mm, 36mm extension tube, 15 seconds at f/36 and ISO 100, tripod mounted. Read about Bokeh and the Zen of Blur on my blog. Wabi-sabi is a name for a Japanese philosophical and aesthetic movement with a key tenet of acceptance of the transient nature of all things. According to wabi-sabi, everything passes, and in that passage and imperfection lies the possibility of true beauty. Expressing emotion is one of the most important things any photo can do. Flowers are often a vehicle in art for projecting our feelings about love and beauty. If we are to progress beyond the infatuations of shallow youth towards the meeting of true minds that is mature love, then flowers as they age with all their imperfections are as much a valid subject as blossoms in the first sensuous blush of opening. Flowers in decay are therefore a valid subject for photographic interpretation. With this composition of Tulip Wabi-Sabi, I watched my tulips over the course of a week as they gradually matured, lost a few petals, and curled—beautiful at every step of the way. The resulting image, shot against black velvet, is a little mysterious and exotic, as though birds with colorful plumage were descending through the dusk. No birds, these are just my lovely tulips, subject to gravity and aging like all of us. Exposure data: 85mm tilt-shift macro, nine exposures at shutter speeds from 1/60 of a second to 8 seconds, each exposure at an effective aperture of f/64 and ISO 200, tripod mounted; exposures processed via Adobe Camera RAW and Nik HDR Efex Pro, and finished in Photoshop.